It’s been an exciting week for this petite woman! I celebrated a birthday this past Tuesday, which may have been one of my favorites so far. There was no party, no fancy dinner, no superfluous presents. But after a day of birthday wishes, pretty flowers, an at-home dinner, and of course some sweets (yasss… cake!) I couldn’t feel any more blessed! In recent years, I’ve been in the habit of baking my own birthday cake to share with friends. So for this year, I decided to go back to my childhood roots and bake up my own version a Pillsbury favorite. 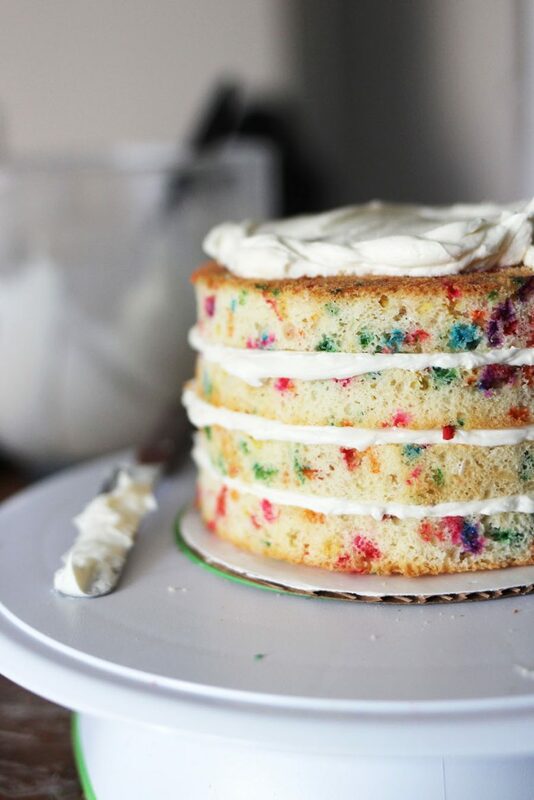 Introducing an irresistible multi-layered and colorful homemade funfetti cake! 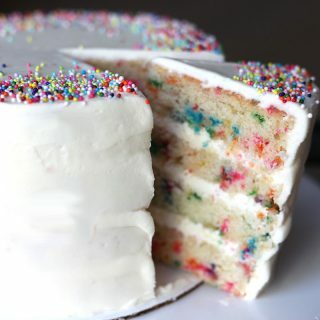 The true beauty of a homemade funfetti cake comes from the distinct rainbow flecks of color in an otherwise cake. Don’t get me wrong, the cake base has a flavorful vanilla-almond aroma and it is an absolutely wonderful cake on it’s own! The extra pop up color just gives each slice that extra ooohh element! The trick to keeping the colors as distinct and bold is to use a specific type of “confetti” agent. Jimmies, I’ve found, are the way to go! This might sound elitist, but I’d never really taken a big likening to Jimmies. I much preferred nonpareils as my “confetti” of choice, as you may notice as the decorative element on the top of the cake. 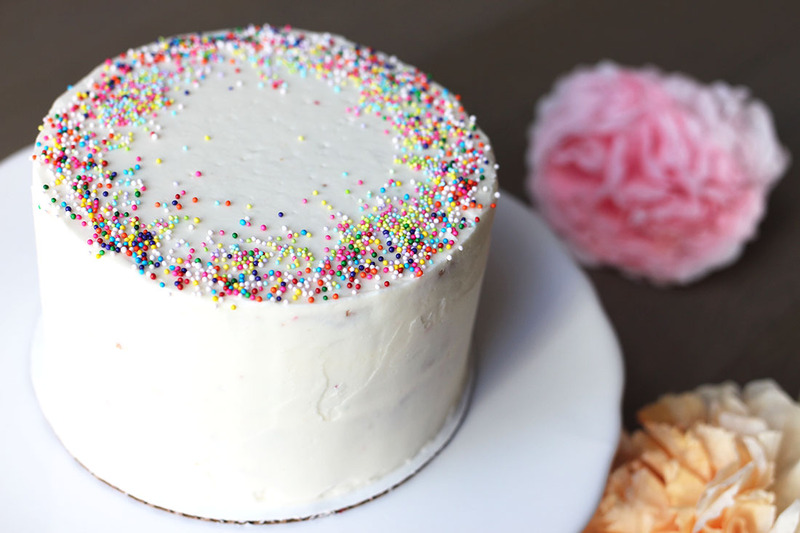 But guess what happens when you try incorporating nonpareils into cake batter? It melts! Well, in a way at least. 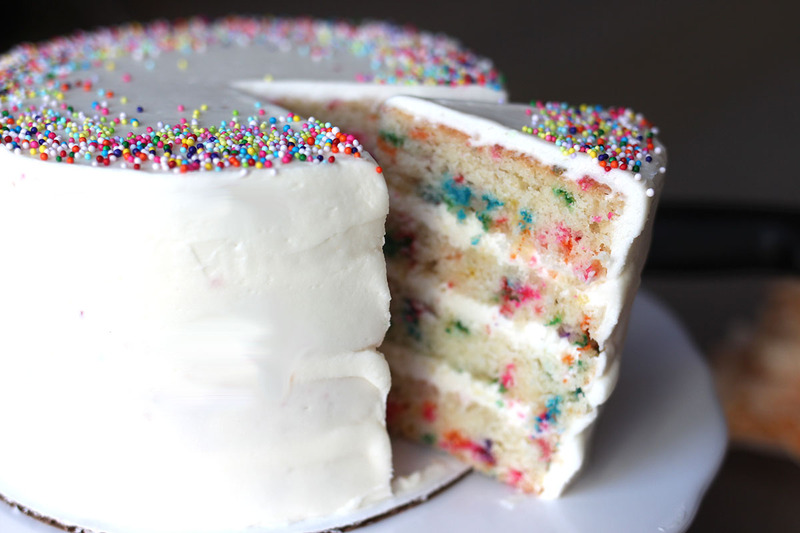 But when you fold in Jimmies into the cake batter, the sprinkles stays true to form. What makes the difference? It’s all about the ingredients in each type of “confetti”! Nonpareils are made from sugar, starch, and food-coloring. When nonpareils are incorporated into a wet batter, the food coloring (which is often water-based) will start to exhibit the “melting” or “bleeding” phenomenon. This is because the water in the wet batter interacts with the water-based food coloring. Like dissolves like, which results in a less than ideal funfetti look, but can perhaps make for an interesting watercolor-style cake! Jimmies are made from sugar, starch, syrup, and a wax-based emulsifier. It’s the use of the last ingredient that accounts for the batter difference. Unlike the reaction with nonpareils,the wax-based emulsifier naturally repels water when Jimmies are incorporated into a wet batter. The wax versus water repelling action effectively keeps the sprinkle and it’s inherent rainbow colors intact and discrete within the batter! But, I had to have my nonpareils! If they weren’t IN the cake, they should be ON the cake. For the final touches to a beautifully confetti’ed cake, I first layered and frosted the full cake with some fluffy vanilla buttercream. (Don’t forget to crumb coat!) Lastly, I generously sprinkled colorful nonpareils along the perimeter of the top of the cake… so pretty! If you look closely, you’ll notice that there’s actually TWO distinct sets of nonpareils. First, there’s the traditional bold colors along the outermost part of the cake. Then, there are some pastel-colored nonpareils of a slightly smaller size on the inside perimeter. This gives a playful gradient look-and-feel to the final cake. And with that, I was ready to dig in and eat! 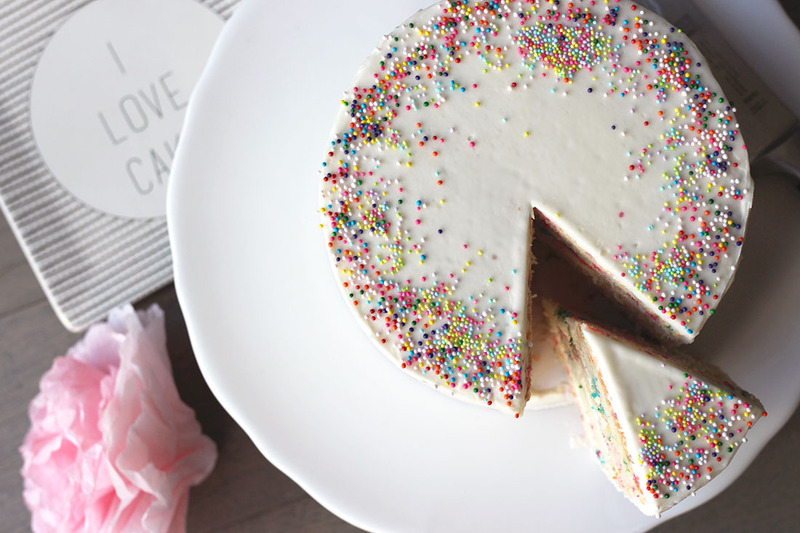 Do you have a favorite birthday-style cake? Thanks for dropping by and leave me a bit of YOUR thoughts in the comments below! 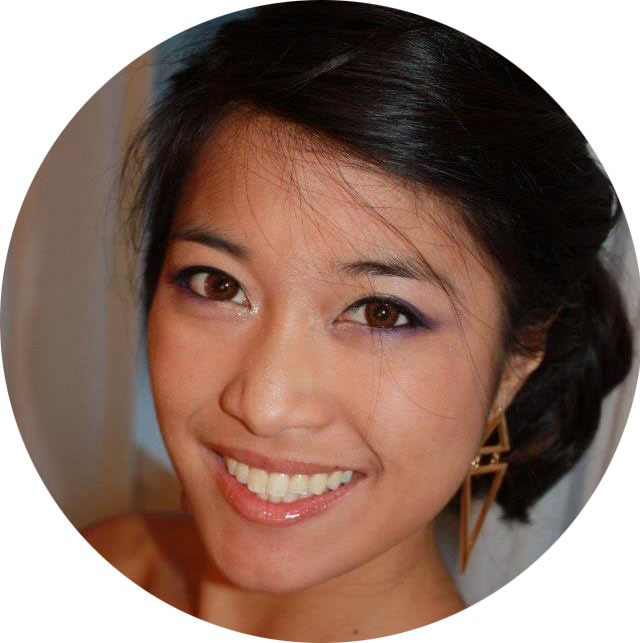 :) I love hearing from you and hope you stop by again soon! 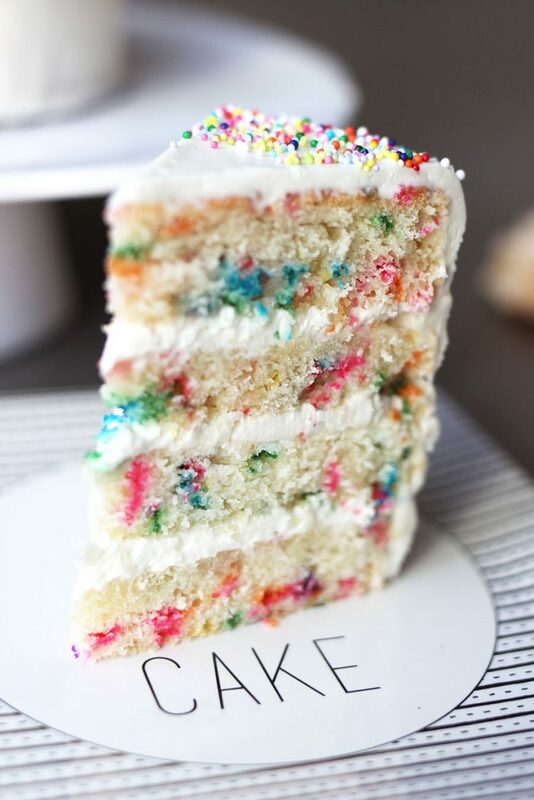 Delicious homemade funfetti cake is a made-from-scratch version of a childhood favorite, bursting with color for the perfect birthday or celebratory cake! Preheat oven to 350F. Prepare two 8" round pans. Line the bottoms with parchment, then spray and flour the sides. In a stand mixer, cream together butter and sugar until light and fluffy, about 5-7 minutes. Meanwhile, whisk together cake flour, baking powder, baking soda, and salt in a separate bowl. Slowly add in eggs into the creamed butter mixture one by one, mixing until fully incorporated between each addition. Slowly add in greek yogurt and extracts, mixing until fully incorporated. In small additions, turn mixer on low and add in flour mixture. Mix until just combined and avoid over-mixing which can lead to tough cakes. I like to finish the mixing process by hand with a rubber spatula. Fold in rainbow Jimmies by hand with rubber spatula until just combined. Divide batter into the two cake pans and bake in the oven for 35-45 minutes, depending on oven conditions. Check for cake doneness: cake should spring back when lightly touched in the center, and an inserted toothpick in the center should come out clean. Remove pans from oven and allow to cool for 10 minutes before unmolding and allowed to cool completely on cooling rack. In a stand mixer with paddle attachment, cream the butter with salt until light and airy. Slowly add confectioner's sugar (about ½ c at a time) and incorporate with butter. Scrape down sides of bowl as needed. Add in vanilla extract and mix until well incorporated and consistency is smooth and creamy. When cakes are completely cool, level and cut each cake into two distinct layers, yielding a total of 4 even cake layers. Place one cake layer a cardboard cake round and secure with a bit of frosting. Frost the top of the first cake layer with vanilla buttercream. Place the next cake layer on top of the just-frosted layer. Repeat for all remaining cake layers. Use about half of the remaining frosting to cover and frost the top and sides of the cake for a light crumb coat, then chill the entire cake for 10 minutes. When cake has chilled, apply the final coat with the remaining buttercream frosting. Smooth the tops and sides of the cake with an offset spatula and bench scraper. Top cake with decorative nonpareils sprinkles and other desired decorations. Candles, perhaps? !